Pale pink short sleeved t-shirt in multiple sizes, styles, and additional colors available. 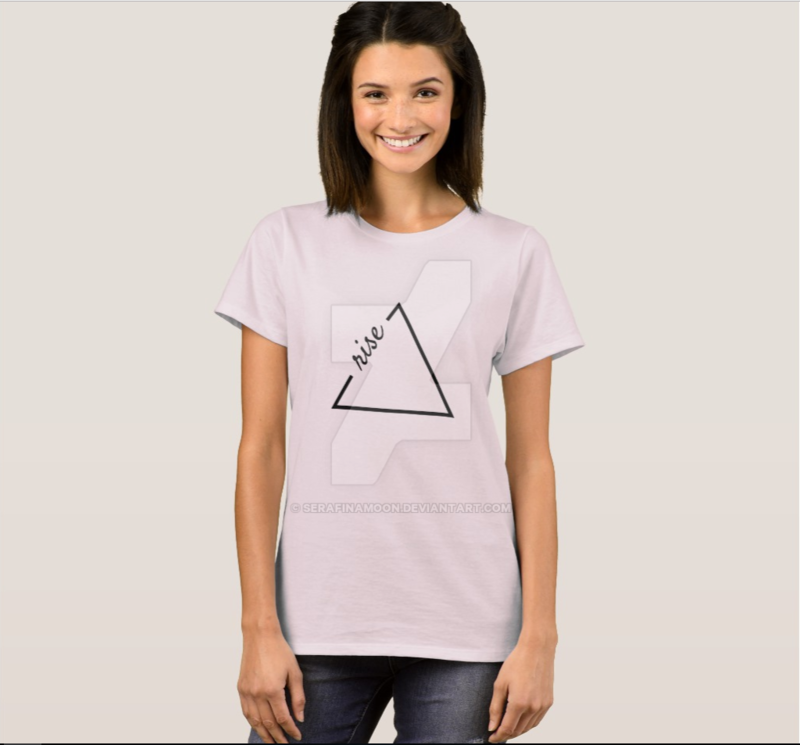 Featuring rise triangular logo design. Great for summer or everyday casual wear. Available for purchase at Zazzle or see my other designs at my Zazzle store.